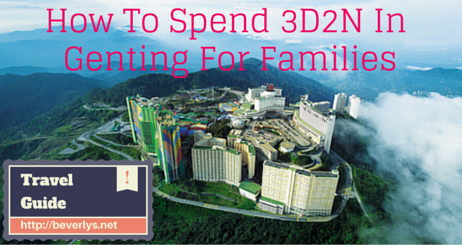 How To Spend 3D2N In Genting For Families | Beverly's Net: family. food. fashion. 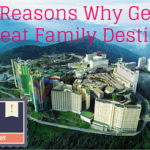 How To Spend 3D2N In Genting For Families – Beverly's Net: family. food. fashion. 7:00AM – Depart from Golden Mile Complex via TransStar coach. The bus leaves dead on 7AM, so make sure you arrive before then to settle yourselves. The TransStar Solitaire coach (approx SGD$73pp single trip) is extra luxurious, and in my opinion is a must. You get to recline back and relax, and kids have loads of space. You are provided a meal and drinks, and the ride is smooth. It’s basically First Class travel on the road! You’ll stop at Singapore customs soon after departing. Simply go down with your passports and leave everything else on the coach. There is a toilet stop here. A few mins later, you’ll stop at Malaysian customs. Now you’ll need to take everything down with you. Toilet break. 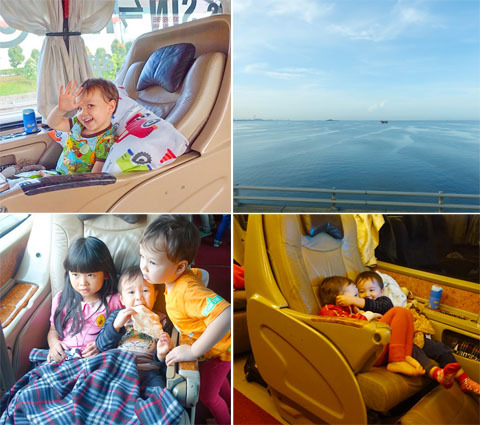 After that, it’s smooth sailing for another 5 hours until you reach Genting, so kids can have a nap along the way. Psssst! Beautiful views out your window as the bus winds its way up the mountain – a 20-30 min ride. You’re also served a hot breakfast after Malaysian customs, and drinks are served twice during the trip. 2:00PM – Arrival at Genting. 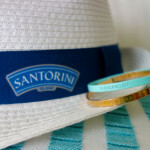 You’ll be starving by now, so you can leave your bags at the concierge and grab a quick lunch. 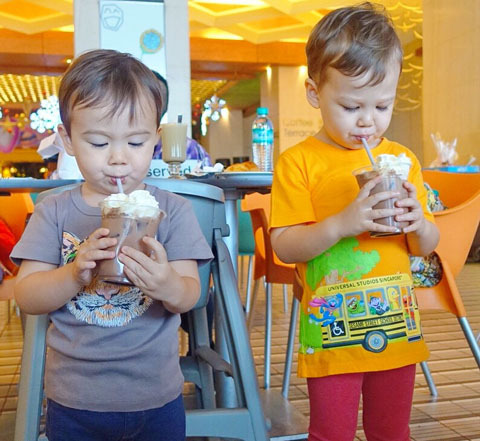 We liked Bubbles & Bites because of the friendly staff, and kid-friendly sofa seats and food. Recommended dishes? The macaroni & cheese, t-bone steak, carbonara pizza, chicken wings. After your late lunch, go to your room and relax for a bit. 5:30PM – Sesame Street show. Find out more information about The Sesame Street Live Show here. Have a decadent dinner at Coffee Terrace, which has a full international buffet spread (inclusive of sashimi and a staggering dessert bar), for just RM79 per adult. The sheer amount of food here is incredible! Breakfast at Coffee Terrace again, to check out their breakfast buffet spread. Again, you won’t go hungry. A lot of the food is cooked-to-order, which is fab! 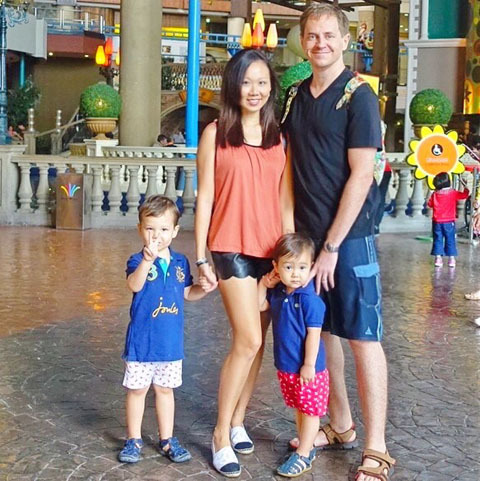 9:30AM – Indoor theme park. 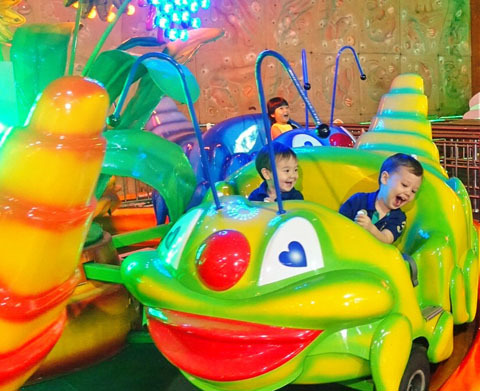 If you have kids aged 2-7 years old, prepare to watch them go bonkers over this extremely kid friendly indoor theme park! 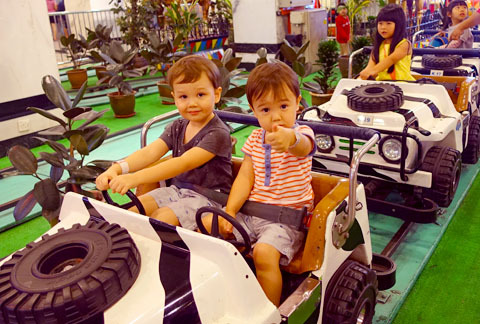 It is perfectly catered for young kids, with very safe (and gentle) rides spanning across multiple floors. My kids particularly loved the Reindeer Cruiser, which is on the second floor and gave them a birds eye view of the people walking beneath. Have a traditional Chinese lunch at the traditional Genting Palace Restaurant. The interior is huge and so is the menu. You can indulge in dim sum dishes, or order food to share. We particularly loved the succulent and huge deep fried soon hock fish, and the sweet and sour prawns. Yum! Walk back to your room that’s only a few minutes away (and all under cover), for a rest or nap. 2:15PM – Behind The Scenes Tour. 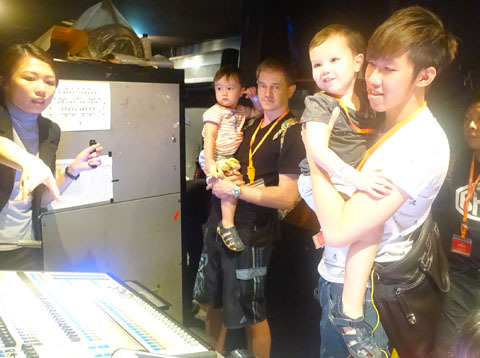 Very good for both young and slightly older kids, the Behind The Scenes Tour lets you see what goes on in the hotel. 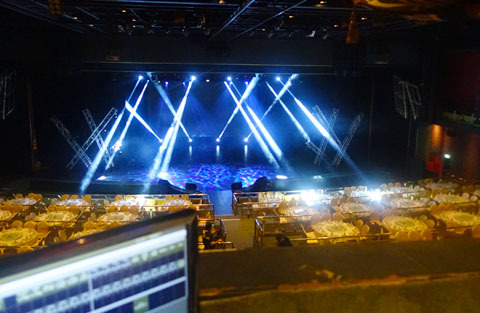 The kids were particularly enthralled with the latest sound and lighting system, finding out how cool lighting and sound effects are created, and giving it a shot themselves! 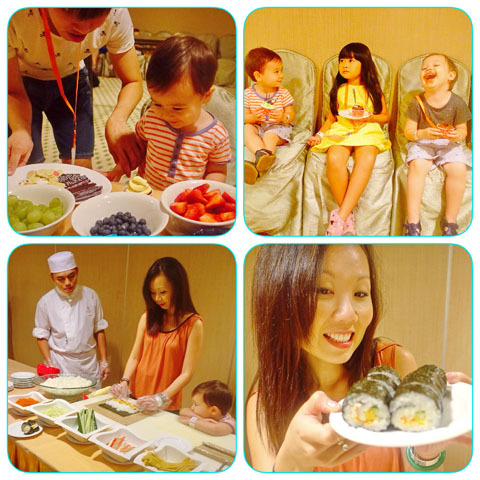 Included in the tour is a sushi-making and cupcake-making session for kids and adults. And you get to eat your own creations! Breakfast at the Bakery, to make it short and sweet since it’s the last day. I was pretty wow’d when I saw them making all the pastries from scratch, and them emerging hot from the oven! I personally found their Genting Chicken Pie TO DIE FOR, and sorely wish I’d bought this in bulk to bring home with me 🙁 I miss it already! Adults and older kids will love the biiiiig slide – sit on an air-filled tyre and zoom down. It’s fast! And younger kids like mine will like simply being pulled along on the little red sleds. 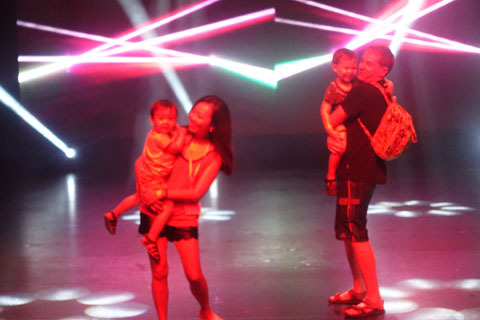 12:30PM – Free time to go back to the Indoor Theme Park or games at Vision City, or for younger kids to nap. 2:30PM – Board TransStar coach to return back to Singapore. 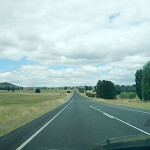 For us, a family with a 2 year old and a 3 year old, this itinerary worked perfectly and whilst we did not have much time to laze around, it certainly wasn’t too rush-rush either. The kids handled it all well, and there were no major meltdowns or tantrums. Remember, everything is walking distance, so you don’t need a baby stroller. All restaurants there are very clean and kid-friendly, so we never did use any of the bibs, bowls, cutlery, scissors, etc etc that we brought along. All we needed was a pack of wet wipes for emergencies, and some nappies. 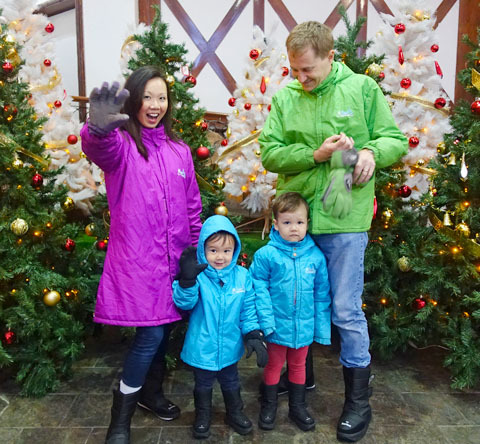 And, of course, we were immune to the rain or any other external weather factors, as everything was entirely indoors, so no need to pack an umbrella either! Do pack long pants, and jackets, especially in the latter part of the year. We were there in December and the weather was a cool 15-25 celcius. And even if you’re completely indoors, it’s still air-conditioned, so it’s worth bringing a light jacket, especially for the kids. Bathrooms are all clean, with lots of seated toilets. All sinks have soap, and toilet paper is freely available. It made it super easy to wash the kids faces/hands before and after meal times, and toilet breaks and diaper changes were easy. 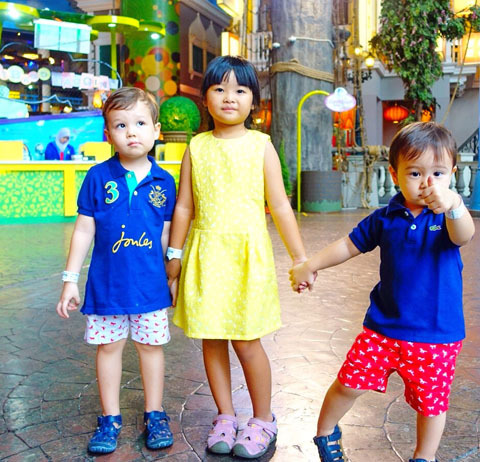 Genting is just, simply put, one of the easiest and breeziest holidays we’ve ever been on with young kids. I was surprised, as I’d always thought of it as some random far-off land that’s full of gamblers (there’s a casino there). Didn’t realise how kid-friendly it is, and I’m glad we know now, cos we’re planning to return in 2016 when 20th Century Fox opens their gigantic outdoor Theme Park – that one will be a doozy!! Next GIVEAWAY: Win a shirt or shorts from Elly’s new CNY 2015 collection!